At face value, measuring the temperature using Celsius instead of Fahrenheit seems to make a lot of face sense. After all, the freezing point of water is a perfect 0 degrees Celsius — not the inexplicable 32 degrees in Fahrenheit. Also, the boiling point of water in Celsius is right at 100 degrees (Okay, 99.98, but what’s a couple hundredths of a degree among friends?) — instead of the awkward 212 degrees Fahrenheit. Celsius is also part of the much-praised metric system. It seems as though every developed country in the world has adopted the metric system except for the United States, which still clings to tge older, more traditional measurements. Finally, scientists prefer to use Celsius (when they’re not using Kelvin, which is arguably the most awkward unit of measurement for temperature). If it’s good enough for scientists, it should be good enough for everybody else, right? Not necessarily. Fahrenheit may be the best way to measure temperature after all. Why? Because most of us only care about air temperature, not water temperature. Think about it. When was the last time you used a thermometer to measure water temperature? It was probably in a high school or college class. If you’re ever in need of boiling water (e.g., when it’s time to cook pasta), then you can usually determine that the water is boiling by just looking at it. The steam and bubbles are a dead giveaway. However, things are a little more complicated when it comes to measuring ambient temperature. You’ve probably browsed over to Weather Underground recently to see if you should wear a coat when you go outside. This is the only time most of us non-scientific folks care about temperature. Celsius is great for measuring the temperature of water. However, we’re human beings who live on dry ground. As a result, it’s best to use a temperature gauge that’s suited to the air, as opposed to one that’s best used for water. Fahrenheit is also more precise. 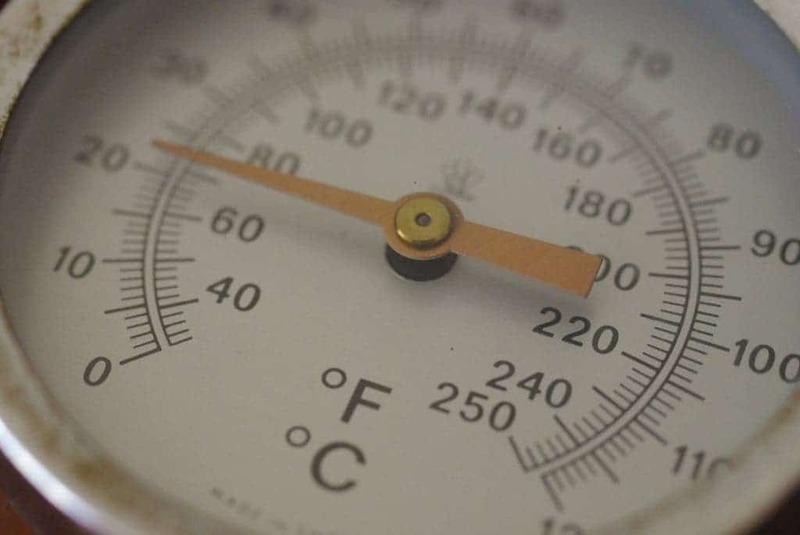 The ambient temperature on most of the inhabited world ranges from -20 degrees Fahrenheit to 110 degrees Fahrenheit — a 130-degree range. On the Celsius scale, that range is from -28.8 degrees to 43.3 degrees — a 72.1-degree range. This means that you can get a more exact measurement of the air temperature using Fahrenheit because it uses almost twice the scale. A precise reading of temperature is important to us because just a little variation can result in a perceivable level of discomfort. Most of us are easily affected by even slight changes in the thermometer, and the Fahrenheit scale is more sensitive to those changes. And let’s face it: with so many home heating and cooling methods and technologies available, there’s already enough guesswork involved in keeping our homes comfortable. According to Foster Fuels, for example, homeowners who rely on oil heating already have to contend with a +/- 10% margin of error when reading their fuel gauge. And when every drop of fuel oil counts against that gauge reading, using a temperature scale with a higher degree of accuracy is extremely important when programming your thermostat. This doesn’t mean that scientists should stop using the Celsius scale, though; they need to maintain consistency with their peers around the globe. They don’t need to add the task of converting temperatures to their already complex work. The metric system certainly has its merits as well. It’s easier to measure snow in centimeters or millimeters than to do so in inches and offers the aforementioned advantage of precision. It’s also better to measure both distance and air pressure using the metric system, as opposed to pre-metric scales. However, just because certain metric measurements are superior to traditional measurements, this doesn’t mean that every part of the metric system is superior. Some purists will argue that we should adopt an all-or-nothing approach concerning the metric system, but it doesn’t have to be that way. We, as free people, are certainly capable of accepting the parts of the metric system that simplify our lives and rejecting those that would make things more difficult. Fahrenheit is superior for measuring temperature precisely. It’s also better because humans tend to care more about air temperature rather than water temperature. For those reasons, we should welcome Fahrenheit as a standard of temperature measurement, rather than rejecting it for its metric counterpart.